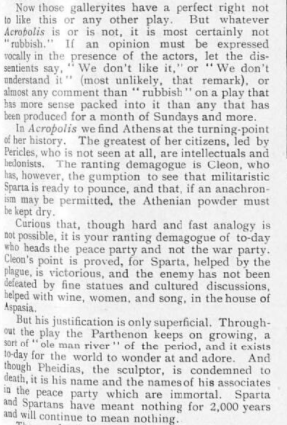 From The Stage of 26 October, 1933. 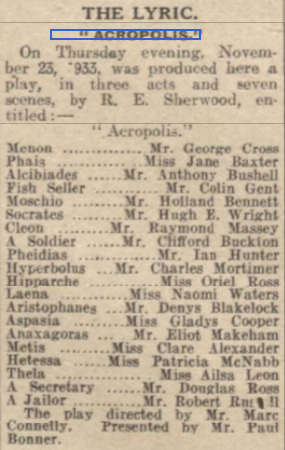 From The Stage of 2 November, 1933. 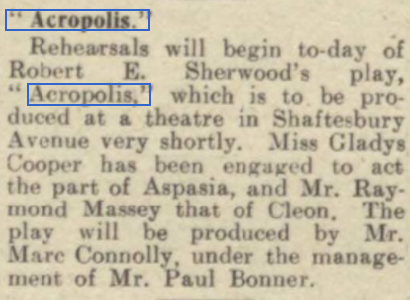 From The Illustrated London News of 9 December, 1933. 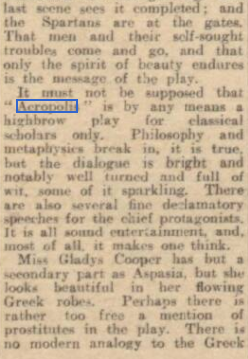 From The Sheffield Independent 24 November, 1933. 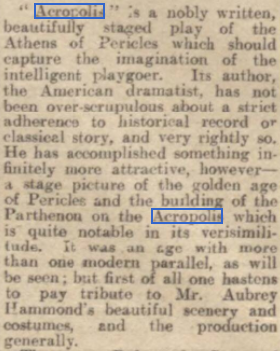 Modern Theme Of Play Of Athens From Our London Theatre Critic. 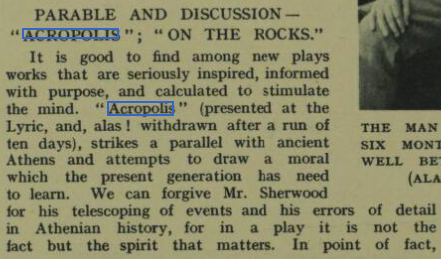 In "Acropolis" produced last night at the Lyric Theatre, Mr.R.E. 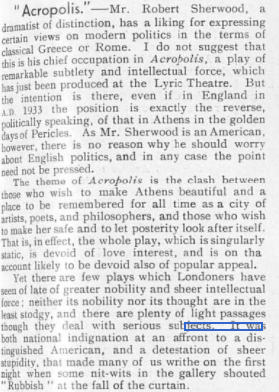 Sherwood the well known American dramatist, has written a brilliantly satirical and witty play of literary quality. 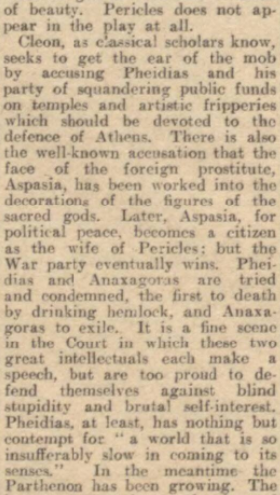 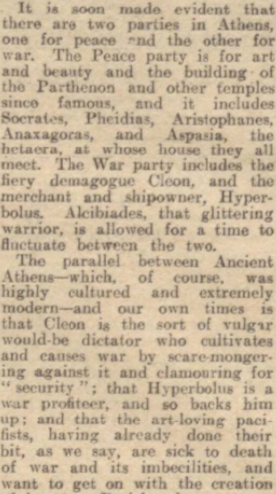 His theme is the eternal struggle of culture versus the forces of war, and he has set his theme in the Athens of Pericles’ time, yet in its subtle satire this theme and the moral he sees in it is eminently applicable our present political and social conditions. 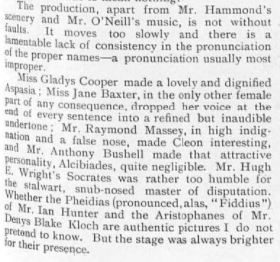 As Astasia, Gladys Cooper was too subdued and failed to reveal the powerful personality inherent in the character. 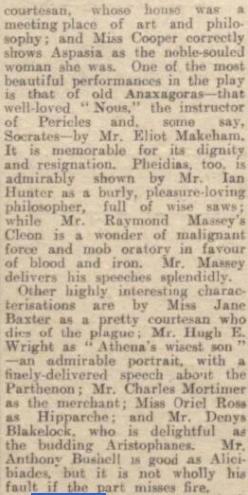 The Best acting came from Hugh E Wright as Socrates. 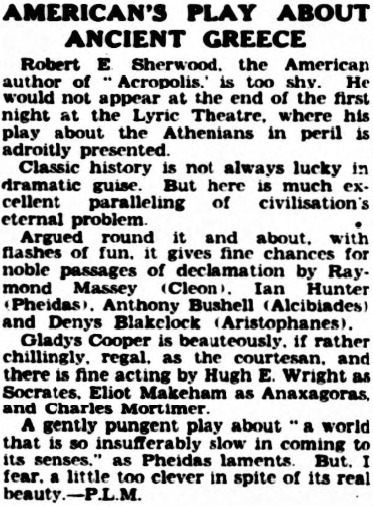 Others who did well were Raymond Massey as Cleon, lan Hunter as Pheidias, and Denys Blakelock as Aristophanes. 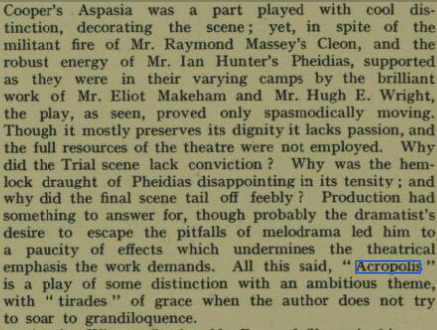 The direction by Marc Connelly was splendid. 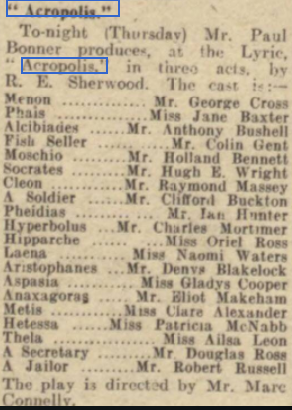 Charles Mortimer played Hyperbolis in "Acropolis" at the Lyric Theatre, London, in 1933. 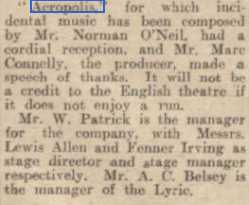 Taken from The Daily Herald on the 25 November, 1933. 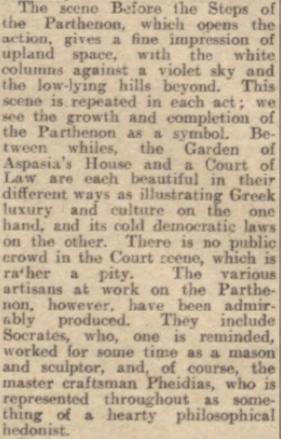 From The Sphere of 2 December, 1933.